NAIROBI, Kenya, March 22 – Having tasted the feeling of winning a medal in track, world champion in 5000m Hellen Obiri is determined to add a World Cross Country medal in her trophy cabinet and continue Kenya’s dominance in the senior 10km since 2009. Obiri, the 2016 Olympic silver medallist in 5000m, has been intensifying training in Kigari, Embu under the watch of head coach David Letting and she has set her sights in coming back home with gold when the 43rd edition of the IAAF World Cross Country will be held on Saturday, March 30 in Aarhus, Denmark. “I am so happy that I made the team to compete in my first ever World Cross Country Championships. 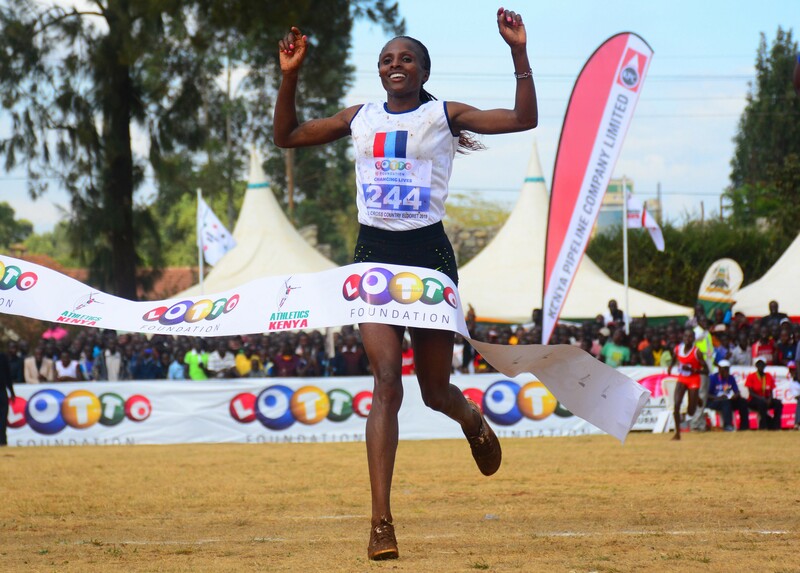 I was my dream to compete at the World Cross and since it’s the only international medal that I am missing, I am looking forward to winning gold, that will be one of my greatest achievement in my career,” Obiri told Capital Sport. Obiri, 29, a mother of one daughter acknowledged the stiff competition expected from Ethiopians, who will come out charged to try their luck once again bearing in mind that Kenya swept the podium during the last edition hosted in Kampala, Uganda where Irene Cheptai led compatriots Alice Aprot and Lillian Kasait to a 1-2-3 finish. This time, Obiri who retained the Kenya Defence Forces Cross Country Championships will team up with Beatrice Mutai, Beatrice Chepkoech, Deborah Samum, Eva Cherono and Kasait to ensure Kenya not only reign supreme in the individual competition but also retain the team’s title. “I know our competitors Ethiopia have trained hard for us, but we are also ready mentally and fit to confront them. We have an experienced team that will deliver,” Obiri stated. Since 2009 Kenya has won the women’s 10km race successfully.